The use of modern forklifts compared to previous methods, such as creating elaborate an improvised rope and pulley system, is an efficient and relatively safe alternative. However, although forklifts are safe compared to their antiquated predecessors, they are by no stretch of the imagination a safe piece of equipment in the modern warehouse. In fact, forklifts are one of the most dangerous pieces of equipment in the warehouse today. If best practice isn't used, forklifts are even more dangerous than HGVs, and the Forklift Truck Association bears witness to, on average, five accidents a day. With 137 workers killed at work in the UK in 2016, 14 of these were transport, storage and forklift related. Another government report shows that on average, 24% of vehicle related injuries are caused by forklifts, and double that caused by large goods vehicles. Of all the injuries caused by vehicles in the workplace in the UK, a quarter are caused by forklifts. All in all, a study by the Forklift Truck Association estimated that one person is killed every six weeks, and perhaps more disturbingly, 43 people are badly injured per week. This includes injuries so severe that amputation of the limbs becomes necessary, demonstrating that any forklift injury is a terrible event and totally unacceptable from the perspective of a responsible employer. Forklifts are dangerous for a number of reasons. As they are large vehicles carrying heavy and awkwardly shaped loads at high speeds around pedestrians, it isn't surprising that the list of ways they can cause injury to drivers and the people around them is particularly long. 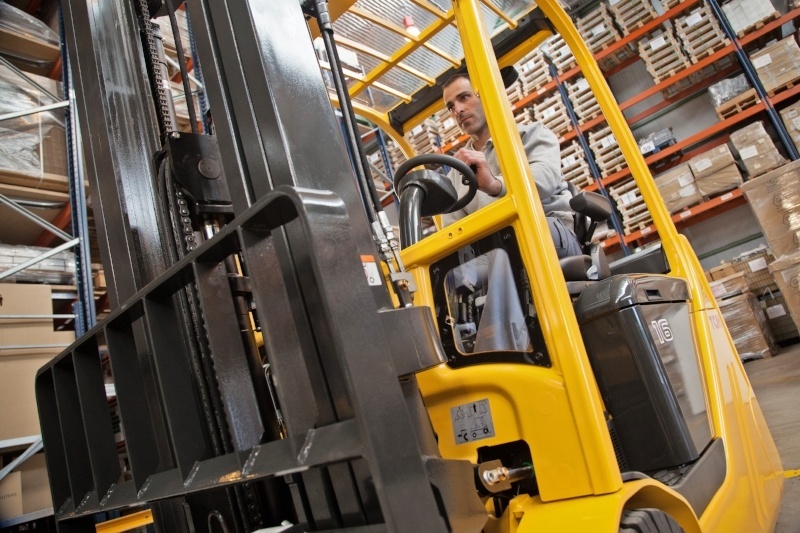 Advanced Forklift Training estimates that 70% of these accidents could be prevented if those working with and around forklifts had just adequate training in British safety standard guidelines. So, what are the injuries caused by forklifts and how can they be prevented? Forklifts are shifting a lot of weight and this makes it easy for them to become unbalanced and tip over. The most common form of injury, making up 42% of Forklift related injuries is when a forklift tips, the operator is thrown from their seat and is crushed between the falling forklift and the ground. However, when this statistic is coupled with the fact that being struck by a falling vehicle accounts for 8% of all forklift related injuries, it becomes clear that half of all forklift injuries are due to a forklift tipping over. Whilst forklifts are often difficult to operate, and tipping is a very common risk, it's actually one of the most preventable dangers in warehouse work. How can forklift tipping be prevented? A well balanced forklift is less likely to tip, and there are many ways to make your forklift more balanced. Firstly, invest in a forklift appropriate to the task you're undertaking. Whether this is a side load forklift, or a forklift with a good counterbalanced mechanism, an appropriate forklift has a significantly reduced risk of tipping. A counterbalance is a weight attached to the opposite side of the forklift to balance the weight of the load. Counterbalances have limits, and these limits must be observed. Secondly, the operator must load their forklift safely. This includes thinking about fulcrums and the distribution of weight across the lift, and positioning the load so that the weight is not exerting force somewhere that will make it easy for the forklift to tip. Detailed explanations as to how to load your forklift are part of many of the safety courses available. Finally, the use of a seat belt can make all the difference. Some of the worst injuries occur when people attempt to jump free of a tipping forklift and are thrown underneath it. Whilst getting clear of the crash is appealing, safety guidelines clearly state that best practice once caught in a tip is to hold on to the steering wheel, ensure that your whole body is inside the forklift and brace. A seat belt ensures that the operator is not thrown under the vehicle and is a legal requirement to ensure that all staff operating a forklift are wearing their seatbelts, if the model has one. 70% of all forklift related injuries occur to pedestrians who are not operating a forklift at all. This isn’t surprising as they can move at around 10 MPH and are often carrying awkwardly shaped loads which not only protrude outward from the forklift, but may obstruct the view of the operator. One of the biggest risk factors is a lack of visibility, and pedestrians being hit by either the load or the forklift itself. Basic safety practice plays a large part in protecting pedestrians from forklift related injuries. For example, observing a 3 MPH speed limit in racking around pedestrians. Although it's not possible to give a specific speed limit as each company and warehouse has different requirements, carrying out a proper risk assessment beforehand, knowing precisely what the stopping time is and enforcing a speed limit can prevent a significant number of workplace related injuries and deaths. Visibility is key to safety. The ability to see your co-workers and the protrusion of the load around the vehicle plays a big role in making sure that no one is accidentally hit. To a large extent, visibility relies on the design of the forklift itself, so it's worth investing in a forklift that offers it. However, even without a high quality forklift, it's possible to ensure good visibility by stacking properly and ensuring a well-lit, clean environment with an aisle clear from clutter and debris. One of the key factors in ensuring a safe working environment is making sure that employees are not exhausted. Safety advice and good equipment can go out of the window if the forklift operator is too fatigued to focus on the task they're undertaking. For this reason, it makes sense to invest in a forklift that's efficient and takes some of the pressure off staff in the workhouse by reducing the number of hours it takes for a task to be completed. Not only does this mean a better relationship between the employer and employee, as profit margins are more protected with the use of ergonomic equipment, but it means the warehouse will run more smoothly, allowing staff to achieve more in their working day as each step requires less effort. Particularly for warehouse work, specific tasks can be significantly streamlined with the use of high quality vehicles. For example, consider the high time and financial cost of the order picking operation. In reality, it's higher than all other costs associated with delivering an order combined, and cutting down on this cost with use of a high quality picker will make for a more productive, less tense, and less wearing work environment. This in turn will increase the safety of the vehicles. There's no doubt that deaths and injuries caused by forklifts have declined, and in fact have halved in the last 20 years. However, this didn't happen by accident; a huge amount of effort has been put into reducing the number of casualties that this dangerous work entails. Whilst there are many ways to tackle these dangers, two key areas require investment: training and adequate equipment. Safety courses will reduce the number of dangerous situations that occur on a daily basis, but also train workers to deal with them when they do occur. However, the use of well designed forklifts will reliably reduce the number of dangerous instances that the worker need ever worry about, keeping them alert and on their feet so that they can implement what they know. From the abundance of safety courses available to investing in good equipment to protect your workers, implementing best practice and creating a culture of health and safety saves lives every day in the workplace. Whilst a huge amount has already been achieved, there's more to be done. 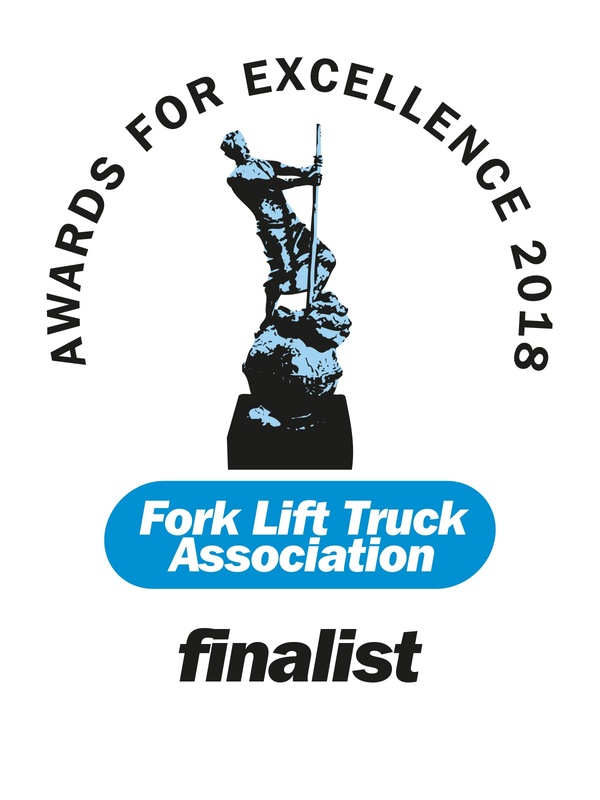 Two of our trucks are up for awards this year, which are designed to help prevent forklift accidents. Our FB Series is up for a prestigious Safety Award and our EO Series is up for an award in Ergonomics.